1. 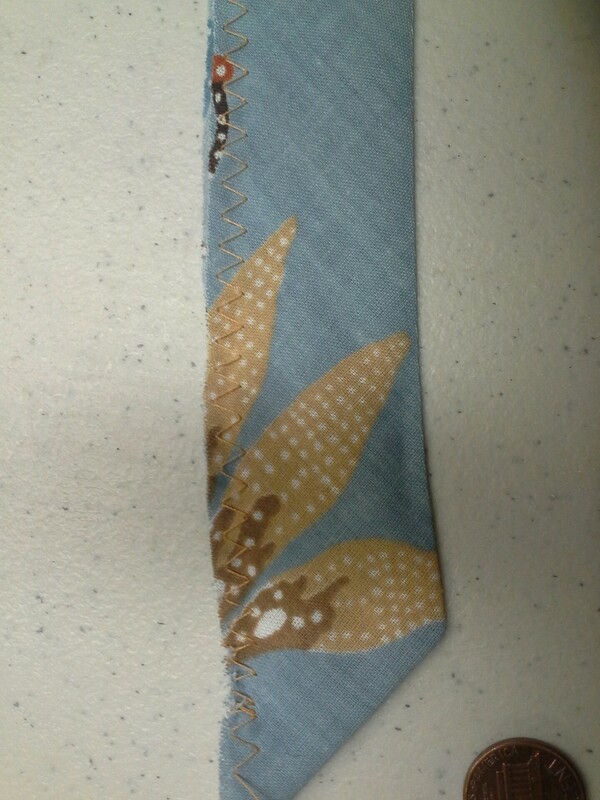 Choose your fabric- a fat quarter works well for this project. 3. 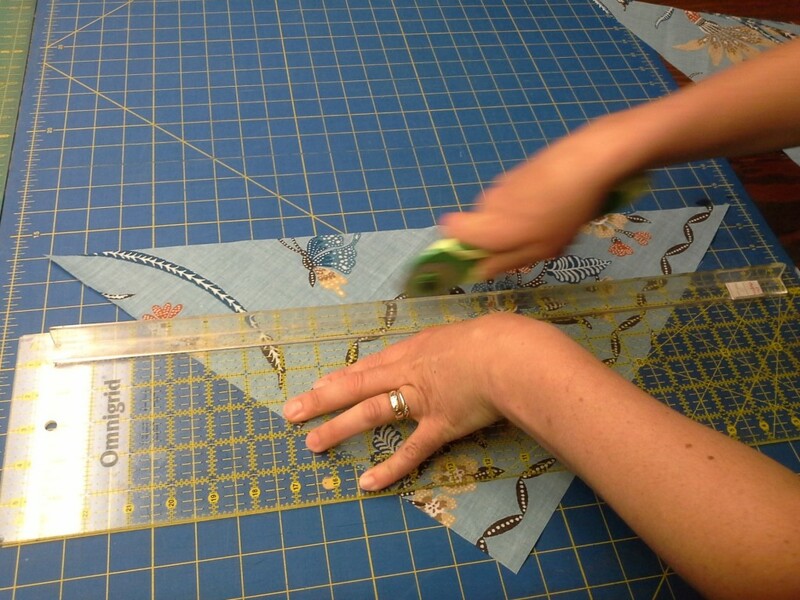 Cut 3” wide Bias Strips- Why cut on the bias? 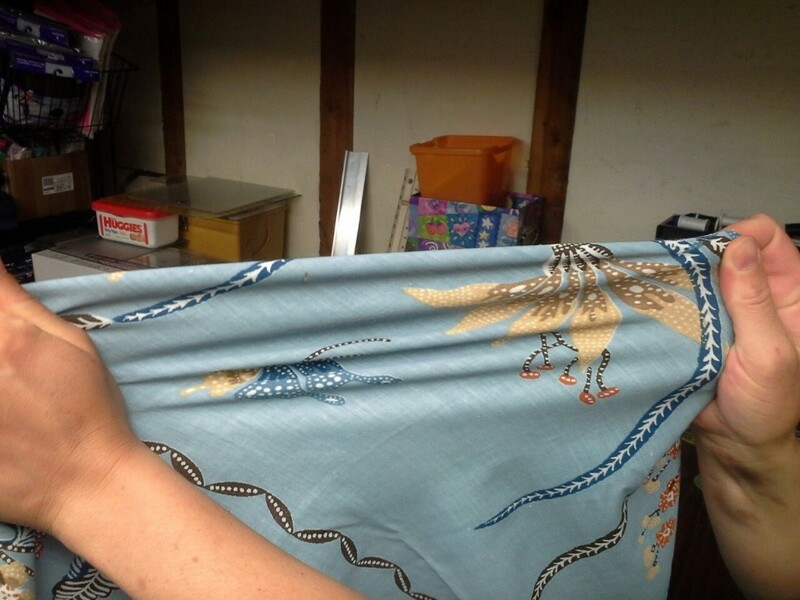 Fabric has a grain to it so if you cut it across the grain it won’t have any give-which will make you feel like your legs are being strangled- but if you cut it at a diagonal it will have just a bit of stretch-much more comfortable. 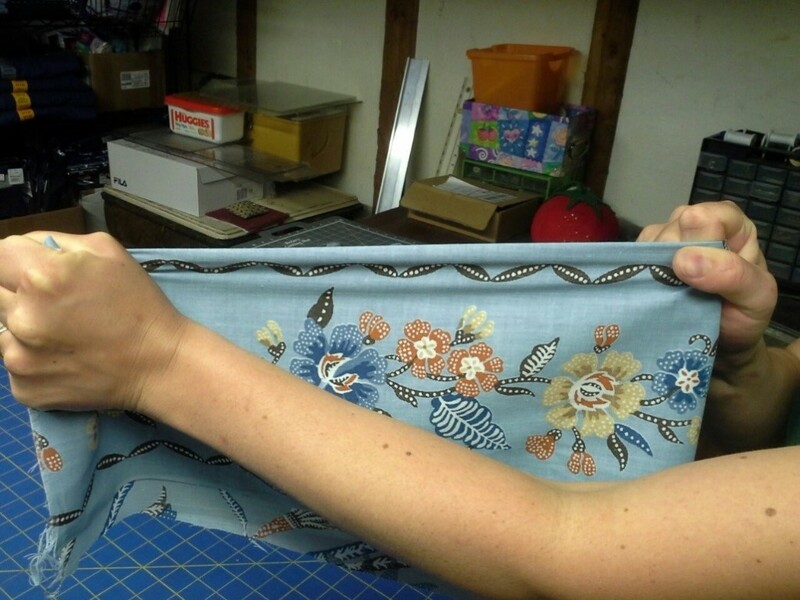 A. Align your fabric on your cutting mat so that the 45 degree line runs diagonally through. 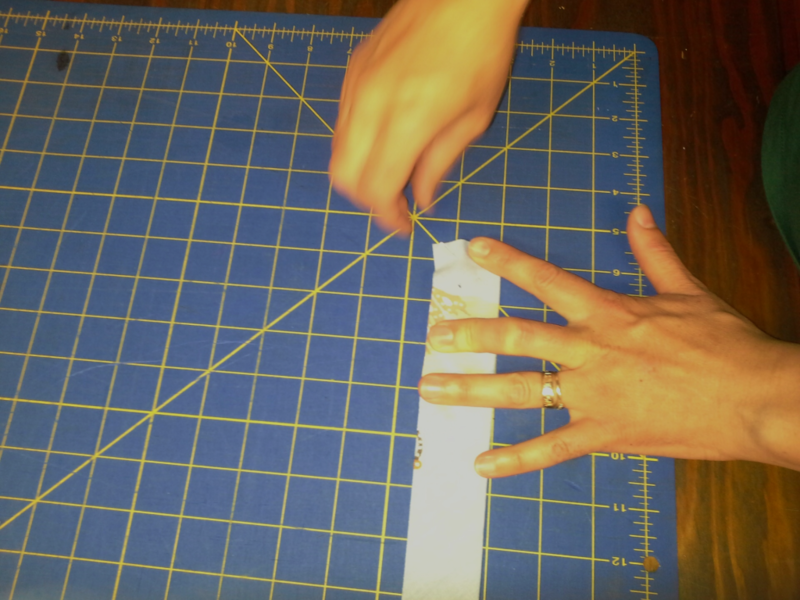 C. Cut, carefully, with your rotary cutter with your ruler as your guide, you should have a triangle. 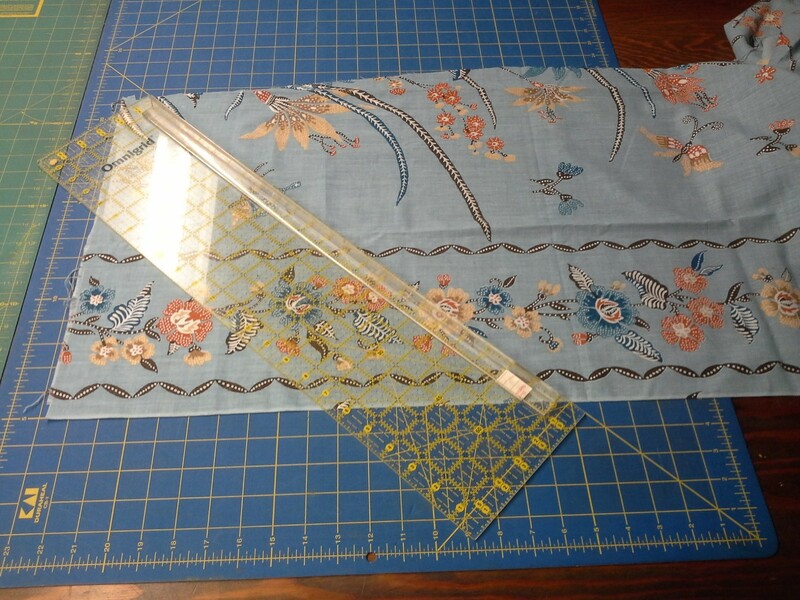 D. Realign your triangle on a straight line and line up your ruler 3 inches away, parallel to the edge of the fabric. 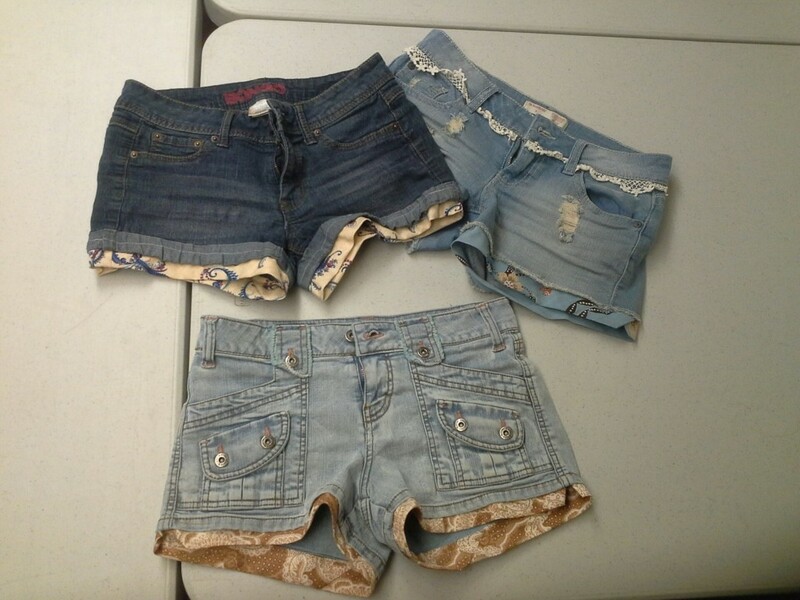 Cut your strip. Repeat until you have 4 strips. 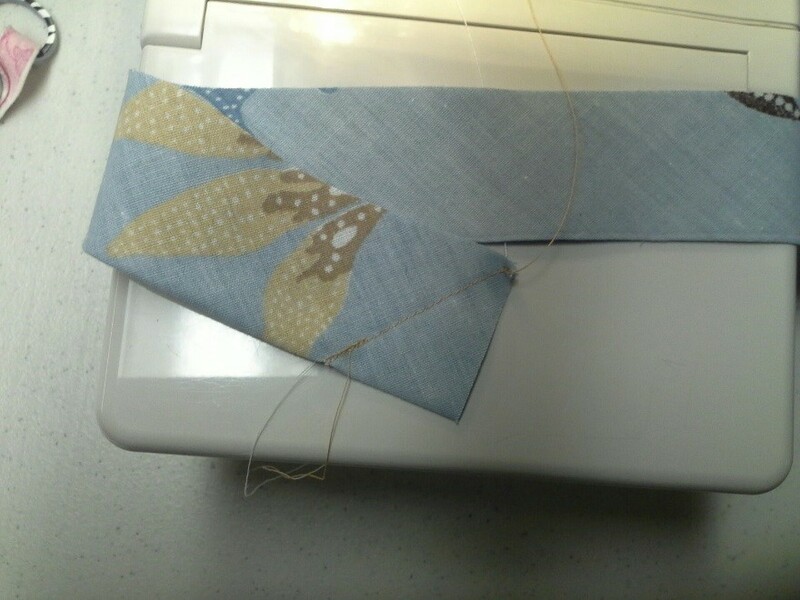 E. If your strips are shorter than the length you need you can sew two strips together. 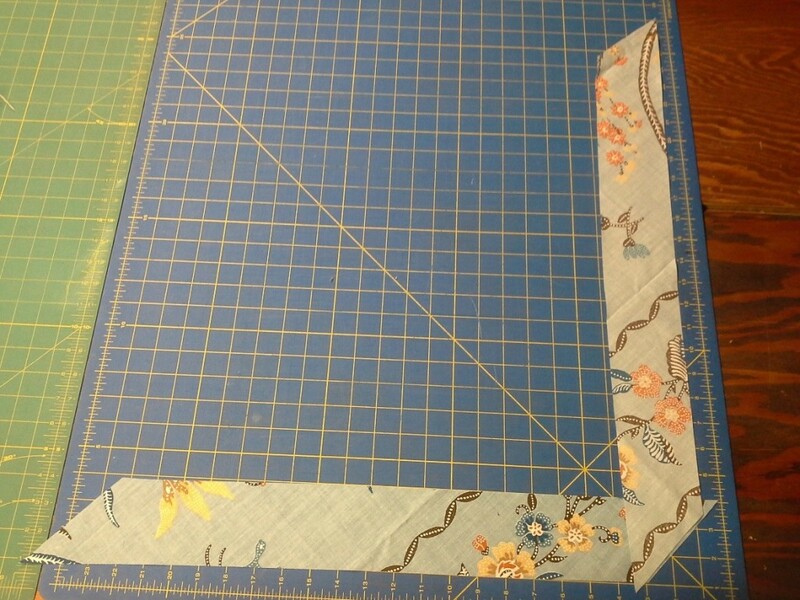 You should have an angle at the end of each of your strips. 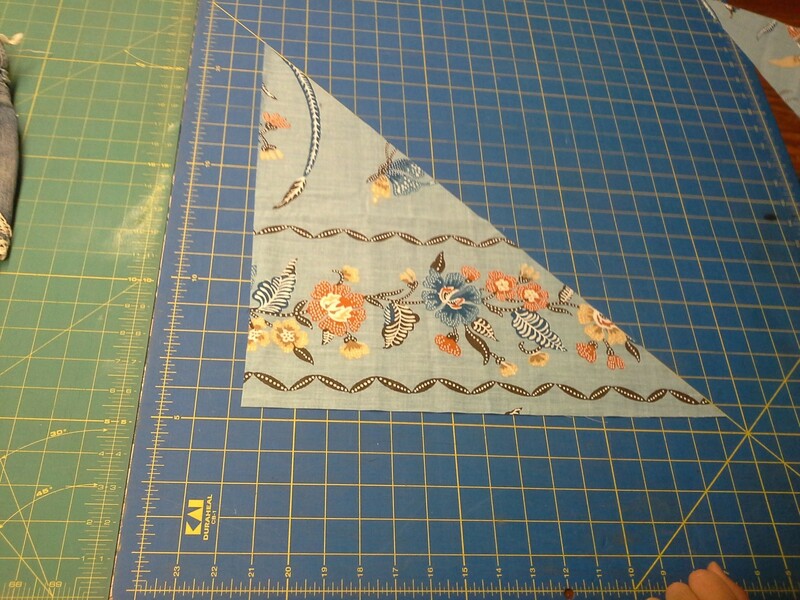 Lay one of them right side up, lay the other right side down perpendicular to the first, lining up the diagonal edge. Pin along that edge. 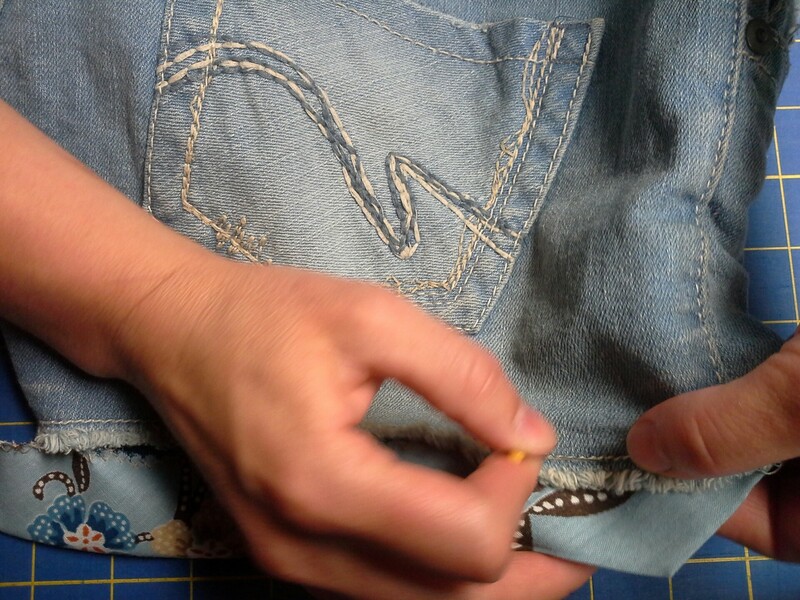 Sew the seam you’ve pinned starting at the V at one end of the seam and ending at the V at the other end. 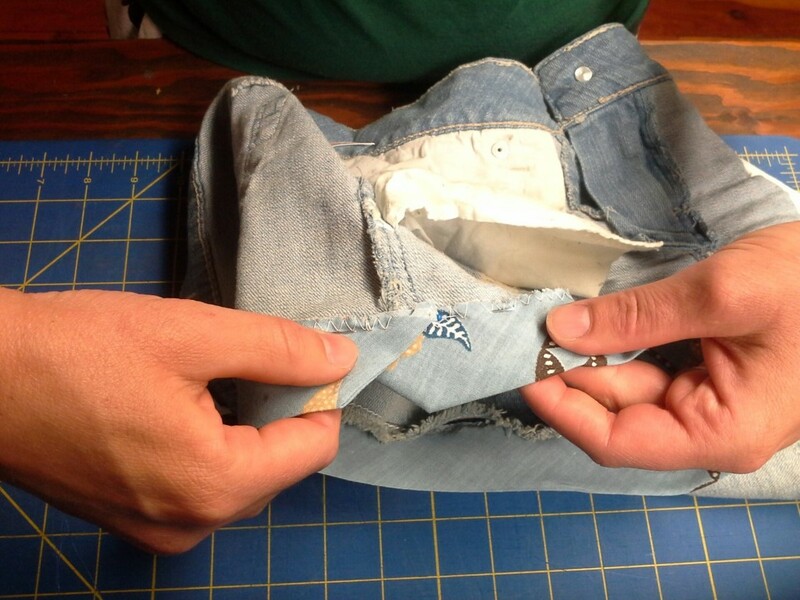 Iron out your seam so you have one long strip. 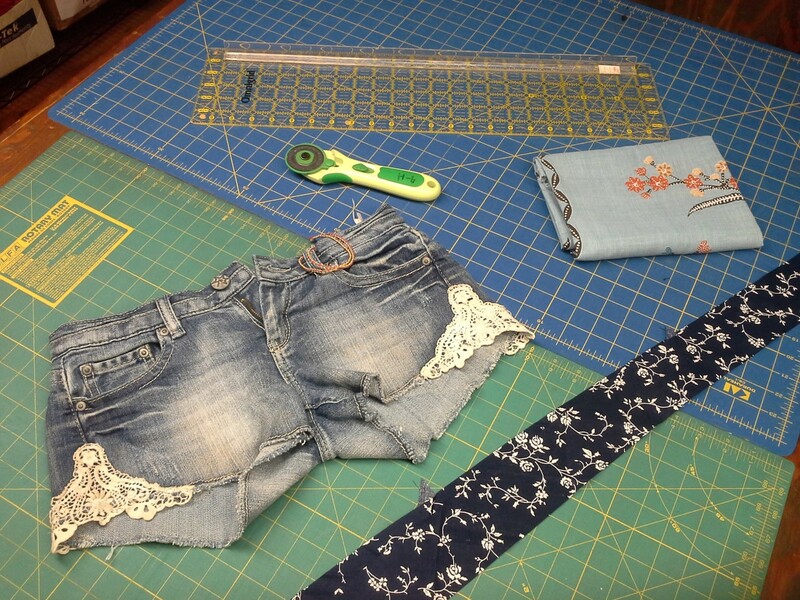 F. Depending on the shortness of your shorts you may want a skinnier bias strip, so if you don’t want to add as much length cut 2.5 inches or 2 inches wide, just remember we’ll be folding these in half so my 3 inch wide strip is going to only be 1.5 inches wide when I attach it to the shorts. 4. 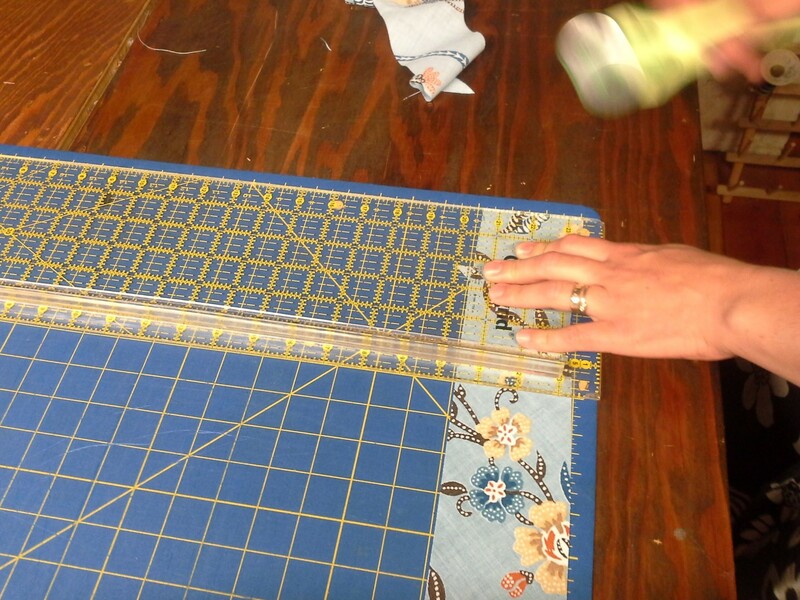 Trim your strip to length. Making both ends square. 5. 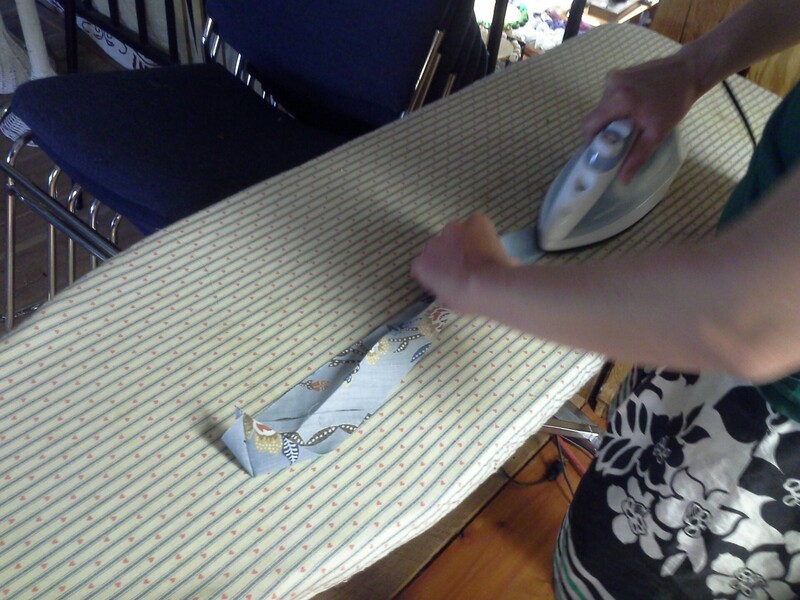 Iron your strip in half lengthwise, right sides together. 6. 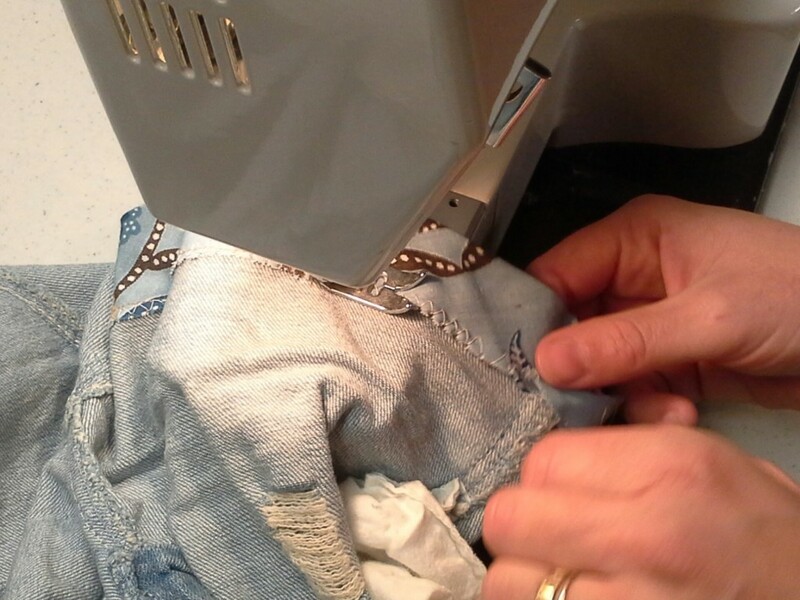 Pin each end at a 45 degree angle and sew. 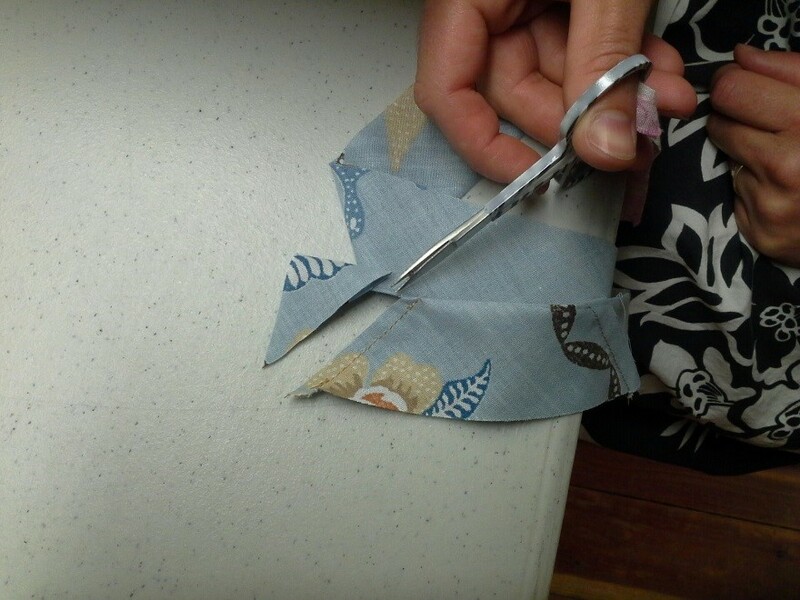 Trim off the triangle at the end. 7. 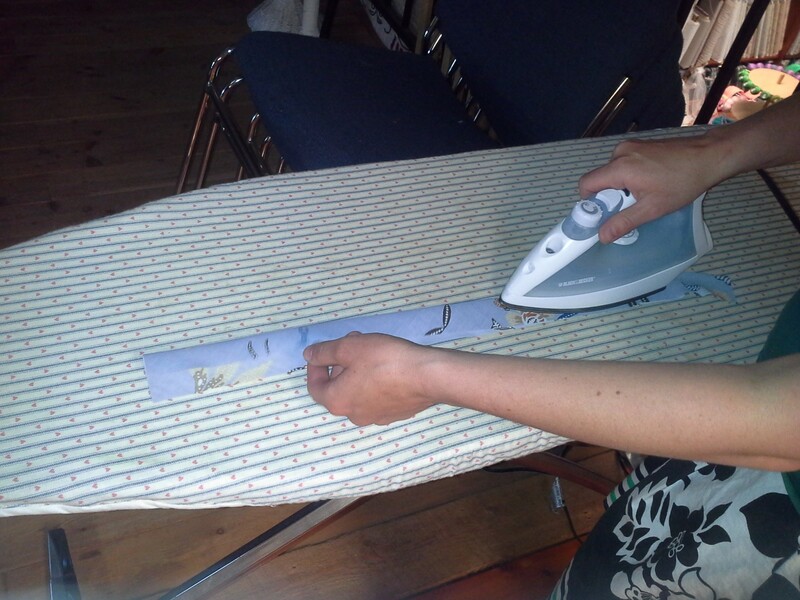 Now turn the strip right side out and iron again. 8. 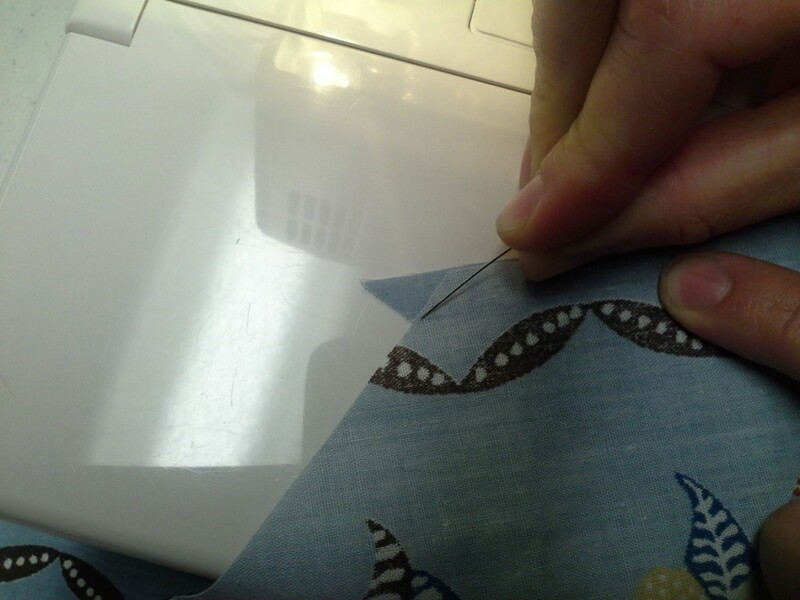 Zigzag the raw edge so it doesn’t fray. 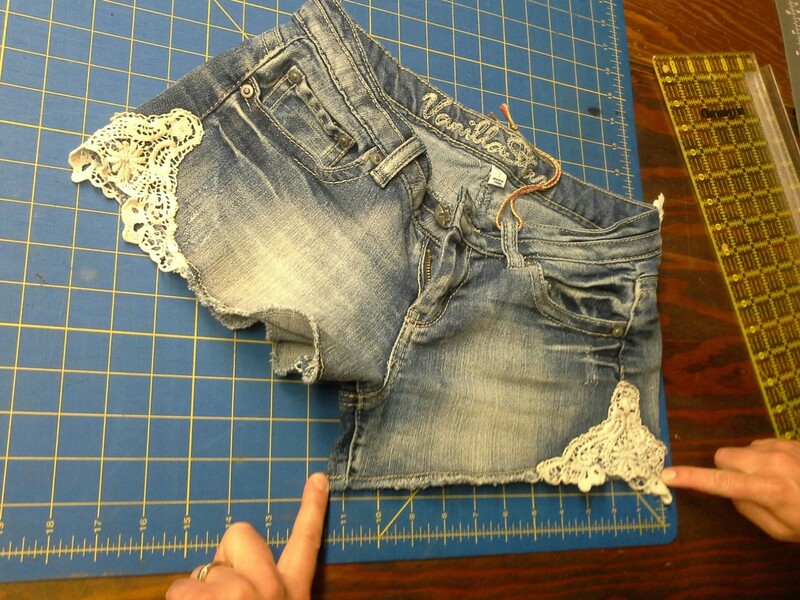 Overlapping the ends when you get done.